Mustang Steering Wheel Pad Insert Set for 3 Spoke wheel on 1970-73 Mustang. Set includes 6 pieces - aluminum and black plastic. 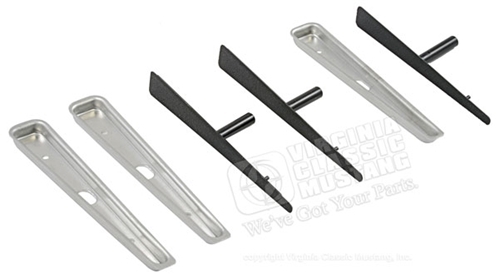 Also fits 70-73 Cougar, 70-74 Maverick, 70-74 Torino, 70-74 Thunderbird, 70 Falcon, and 70 Fairlane.